The Comfort Inn and Suites Northwest is located just off of I-35E at the Walnut Hill Exit. We offer 85 spacious guestrooms featuring either two queen-size beds or one king-sized bed, studio suites with a king size bed and queen-size sofabed, executive suites with separate bedrooms and suites with jacuzzis. All rooms include microwave, refrigerator,high speed internet access and coffee makers. 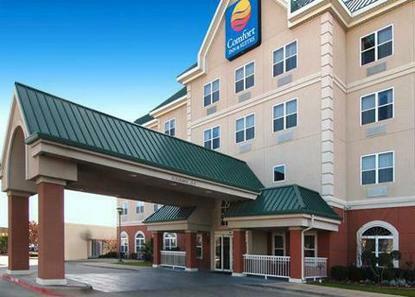 The Comfort Inn and Suites Northwest is just minutes from restaurants, shopping, sports and other entertainment venues, Downtown Dallas, Dallas Love Field and DFW International Airport.Managers reception Monday-thursday 530pm to 7pm, includes complimentary finger food, beer and wine.